This month’s Genre has been chosen by Satu of Fairy Tale Pictures and it is Bestselling/Popular Novel Adaptations. 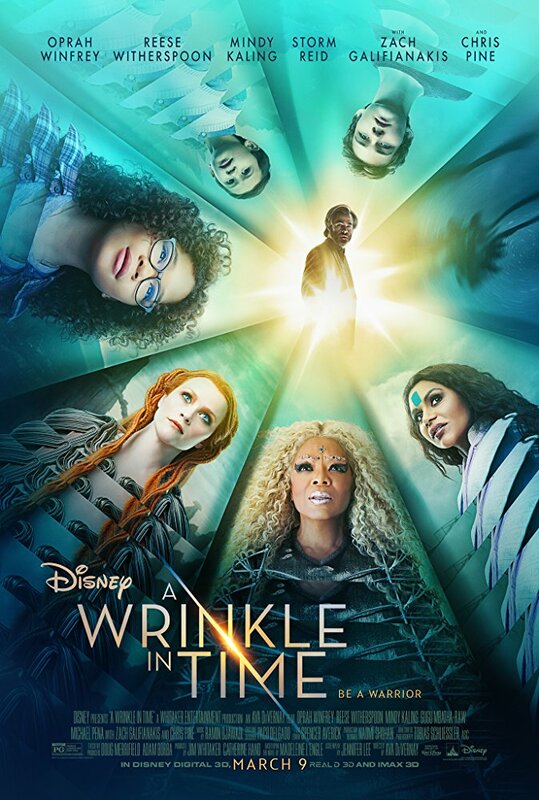 Brief Synopsis – A teenager outcast is sent on a quest by three mysterious beings to save her father who has been transported across the universe to a very dangerous place. This film was Satu’s choice for me to watch. I recall reading this book in 5th Grade and really enjoying it, but this adaptation just doesn’t work at all. They do manage to explain the science a little better and make it feel more modern, but at the same time, there is a strong feeling throughout that the goal of this version is to show racial diversity and political correctness instead of trying to tell an interesting story. The special effects are done quite well to make things look really cool and otherworldly yet the lack of a really coherent storytline is what ultimately dooms this film. Bottom Line – Terrible adaptation of this childhood classic. They do a nice job making the science seem more plausible but overall, it feels as if they are more interested in showing racial diversity and political correctness than to tell an interesting and engaging story. The special effects work to make us believe in the otherworldly, but a lack of a real coherent storyline is what turns this film into a complete mess all around. Genre Grandeur Worthy? – Not even close. The book was so much better and this film tries too hard to be politically correct instead of working on making the story interesting.